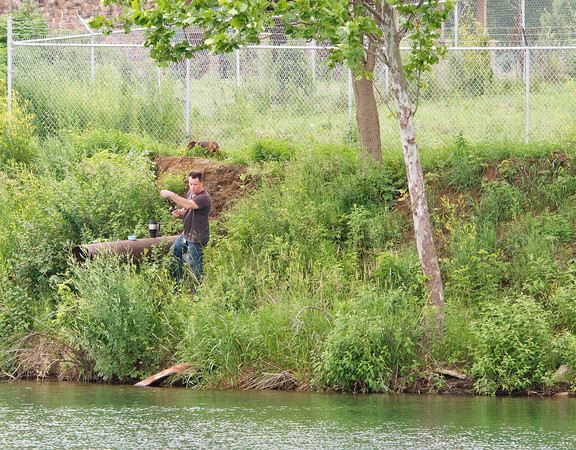 Scott Reinhart fishes in Fidler Pond Thursday in Goshen. His dog Katy is seen roaming behind him. The Goshen resident said he enjoys fishing at the park and has been catching bass that have been between four and six inches long recently.